Stylalia: Manicure Madness: Halloween Edition! I was supposed to do this post a week ago as it becomes slightly redundant in a couple of hours! 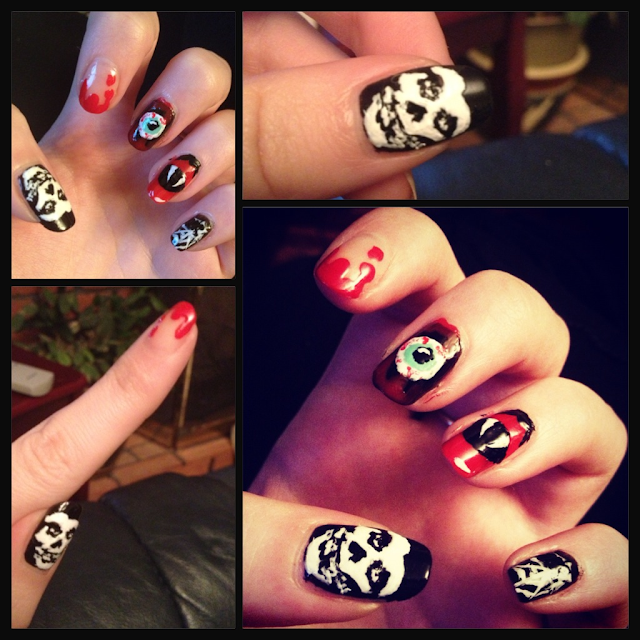 But nevermind, you might be attending some awsome parties this weekend or some of you might like to rock Misfits nails all year round! I won't go through all of the products used as for a mismatched look like this most products will work. Just make sure that you use a fine tipped brush for the detailed parts! If like me you're fixed to your social media accounts you might have seen some of the Halloween competitions running today, most notably the Topshop #TrickorTweet comp on twitter and instagram. If you haven't seen it yet check out the hashtag for some awsome nail and makeup ideas! 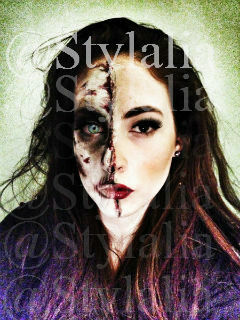 I had to take part with my own Halloween half undead look!